Oh, Excel. Let’s be honest, we here at TradeGecko have a tumultuous relationship with it. We’re always telling our readers to stop using it and come to the cloud (it really is much better up here). But, we'll admit, there are some situations in which Excel can be a good option for a small business's inventory management. So, if you’re going to use Excel, you should do it right. Which is why we developed an Excel template that easy to use, comprehensive and best of all, exports to a CSV file that is exactly how you need it to upload your products to TradeGecko! Excel does have its good points. It’s a low-cost solution for businesses with a small number of SKUs and only one or two people dealing with stock and management. If your business keeps a small volume of inventory, with only a couple suppliers, Excel can be a good, simple solution. 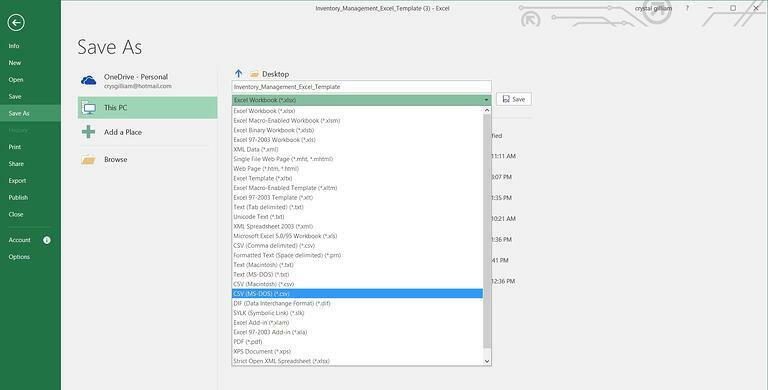 To start off on the right foot, use the template we've developed for basic inventory management in Excel. Then, use formulas and tips like those outlined here and you’ll be able to make the most of your Excel. But does Excel grow with you? However, as soon as your business starts to scale and grow - (which we’re really rooting for!) - Excel starts to get complicated, messy, outdated and, basically not your best option. Here are three signs that it’s time to start looking for a new solution. Anyone involved with supply chain/inventory management always has to ask before accessing data: is this the latest version? You expand to multiple warehouses with multiple suppliers. You have more than 2 people who work with and update inventory management data. Once you have several people accessing and updating data, Excel can turn into a nightmare. Keeping track of it all on the cloud ensures that updated information is available to everyone, everywhere. So, it’s time to switch from Excel to a better solution, one that can handle all your needs and growing pains (like TradeGecko!). This Excel template makes making the switch easy. Take that Excel spreadsheet that you filled out before, and go to the “Export to TradeGecko” tab. Once you’ve reviewed all you data there, go to Save As and choose CSV file. Then, start a free trial with TradeGecko, which only takes a minute. As you go through the process of getting set up, you’ll be prompted to upload your products. Luckily, all your products will be organized and ready for upload via CSV, just export the CSV file you saved from the Excel template. Once your products are uploaded, check out the rest of TradeGecko and see what difference it will make having your inventory and business information stored on the cloud. For example, check out the Intelligence reports feature, which gives you insights into your sales data and other information that will help you make better business decisions. You can also manage your customer relationships, easily create sales and purchase orders, sync up with the other platforms in your life like Xero, Shopify or WooCommerce, and start a B2B eCommerce store. We really like B2B eCommerce. Overall, TradeGecko saves you and your employees tons of time. Some of our customers see a time savings of up to 25% of hours worked in a week by automating processes that used to have to be done manually. You can take that time and put it towards getting new customers, expanding your marketing efforts or just get back to the parts of your business that you love. 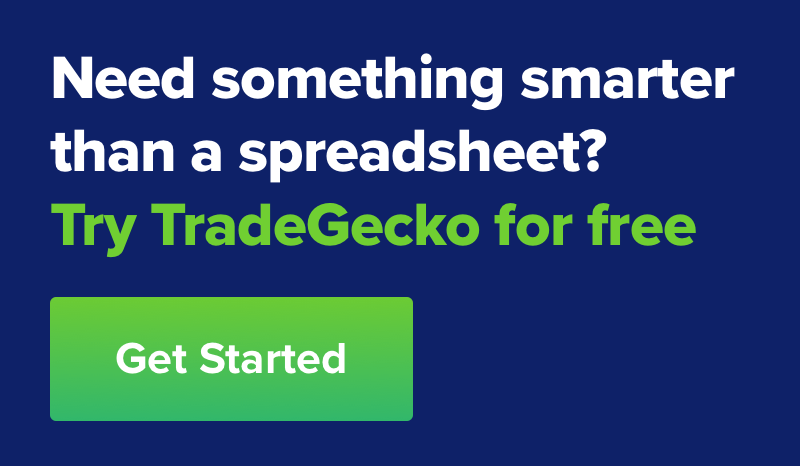 Once you’ve had a look around TradeGecko, we want to know - can that Excel sheet do all that we can? We don’t think so! Start a free trial of TradeGecko here and see how much easier inventory management can be.